Dr. Kaneshiro received both his undergraduate bachelor of science degree in biology and medical degree at the University of Hawaii. He completed his internal medicine residency at the combined Cedars-Sinai Medical Center/West Los Angeles Veterans Affairs training program and also served an additional year as chief medical resident. He completed his gastroenterology training at the UCLA Digestive Diseases Fellowship Program. 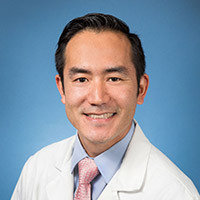 Dr. Kaneshiro has clinical interests in esophageal disorders, gastroesophageal reflux disease (GERD), gastrointestinal motility disorders, inflammatory bowel disease (ulcerative colitis and Crohn’s Disease), celiac disease, gastrointestinal bleeding and colon cancer screening. He is a member of the American Gastroenterological Association, American College of Gastroenterology, Society for Surgery of the Alimentary Tract and Crohn’s and Colitis Foundation of America. He is also board-certified in internal medicine and gastroenterology. Shahedi K, Fuller G, Bolus R, Cohen E, Vu M, Shah R, Agarwal N, Kaneshiro M, Atia M, Sheen V, Kurzbard N, van Oijen MG, Yen L, Hodgkins P, Erder MH, Spiegel B. Long-term Risk of Acute Diverticulitis Among Patients With Incidental Diverticulosis Found During Colonoscopy. Clin Gastroenterol Hepatol. 2013 Jul 12. Cohen E, Fuller G, Bolus R, Modi R, Vu M, Shahedi K, Shah R, Atia M, Kurzbard N, Sheen V, Agarwal N, Kaneshiro M, Yen L, Hodgkins P, Erder MH, Spiegel B. Increased Risk for Irritable Bowel Syndrome After Acute Diverticulitis. Clin Gastroenterol Hepatol. 2013 Mar 21. Agarwal N, Ollington K, Kaneshiro M, Frenck R, Melmed G. Are Immunosuppressive Medications Associated With Decreased Responses to Routine Immunizations? A Systematic Review. Vaccine 2012. 30: 1413-1424. Spiegel B, Talley J, Alvarez E, Bolus R, Kurzbard N, Ho A, Kaneshiro M, Cohen H. Impact of a novel patient educational booklet on colonoscopy preparation quality: results of a randomized controlled trial. American Journal of Gastroenterology. Am J Gastroenterol. 2011 May;106(5):875-83. Kaneshiro M, Ho A, Chan M, Cohen H, Spiegel B. Colonoscopy yields fewer polyps as the day progresses despite using social influence theory to reverse the trend. Gastrointestinal Endoscopy. 2010 Dec;72(6):1233-40. Zhu A, Kaneshiro M, Kaunitz JD. Evaluation and treatment of iron deficiency anemia: a gastroenterological perspective. Dig Dis Sci. 2010 Mar;55(3):548-59. Norisue Y, Onopa J, Kaneshiro M, Tokuda Y. Surfing as a risk factor for gastroesophageal reflux disease. Clin J Sport Med. 2009 Sep;19(5):388-93. Kaneshiro M, Melmed G. Human Growth Hormone in Inflammatory Bowel Disease: Rationale, Evidence and Concerns. Practical Gastroenterology. 2009 March; 33(3):33-36.